An eclectic mix of Jerusalem’s many different residents, sketched by British artist Sophie Walbeoffe, adorn the side of this high-quality bag. 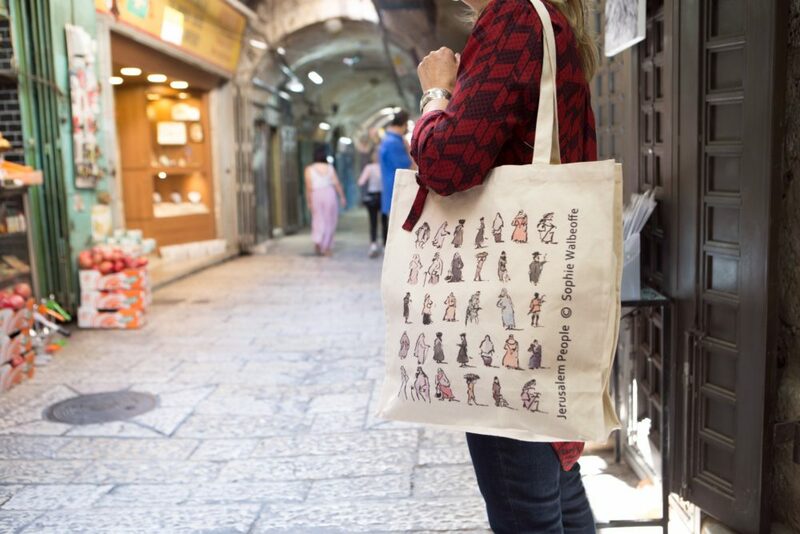 Available exclusively at the Levantine Gallery, this strong long-handled bag in 100 percent natural cotton has a gusset to ensure extra room for all your items. Sophie Walbeoffe is a British artist who studied Fine Art at Wimbledon School of Art, and later with Cecil Collins at the Central School of Art, a teacher inspired by Eastern spirituality. From this moment Sophie adopted an impulsive way of working, using both hands, which she says ‘creates magic straight away’. 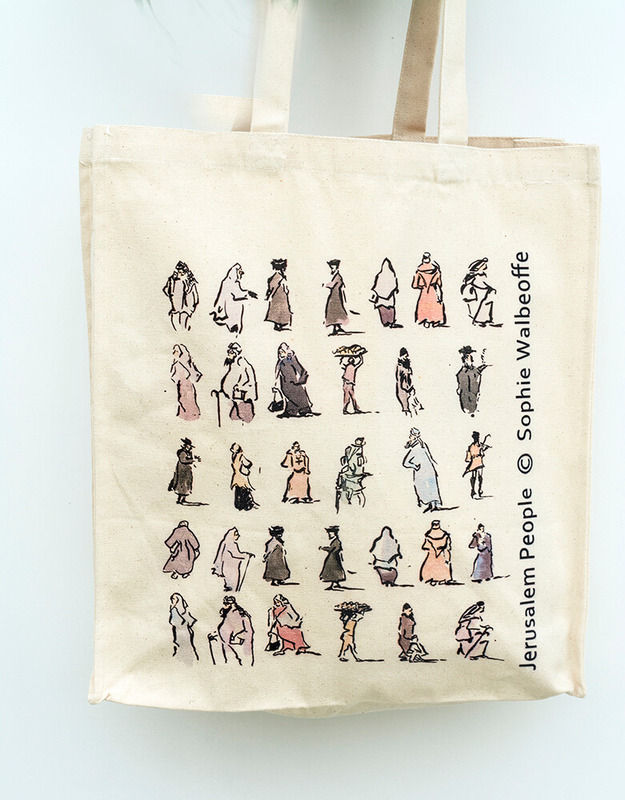 For many years a resident of Kenya where her husband owns a camel farm, Sophie spent two and a half years in Jerusalem painting the sights and people of the city with her inimitable flair and eye for detail, often sitting in the streets surrounded by a group of curious local onlookers. These paintings were subsequently exhibited in a successful exhibition in London.